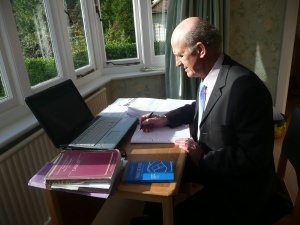 I have been providing advice to solicitors for 25 years. My reports for the court provide an in-depth analysis and understanding of the psychological state of a client and how this relates to legal issues. Typically I might be asked to ‘examine the claimant and provide a full and detailed report dealing with the claimant’s accident-related psychological injuries’. I have developed an expertise in the anxiety disorders, particularly Post Traumatic Stress Disorder and Panic Disorder, and can provide a high quality assessment. After reviewing the supporting information sent by a solicitor I see clients in my office in central Bournemouth to conduct an in-depth psychological interview. A range of psychometric assessments are also administered. This allows me to produce a sophisticated psychological understanding of the relationship between the index events and the client’s psychological state. Instructions usually ask for any relevant pre-accident medical history, the injuries sustained, treatment received and present condition, dealing in particular with a capacity for work and giving a prognosis. I would be asked to comment specifically on any areas of continuing complaint or disability or impact on daily living and to give my view as to when or if the complaint or disability is likely to resolve. Whether the claimant developed some serious disease or suffers serious deterioration in their mental condition is also required, so the court is in a position to make a contingent award of further damages in the future if the claimant develops the disease or suffers the deterioration. My reports are careful, professional and readable, but above all provide an in-depth of psychological understanding which can illuminate the events surrounding the case.